Is your ProHeat 2X Belt broken, melted, missing or cracked? You may need a new Bissell Proheat 2X Brush belt 203-6804 to get your carpet cleaner back into service. This belt is the larger of two used on this model, and spans from the rear brush to the forward brush. 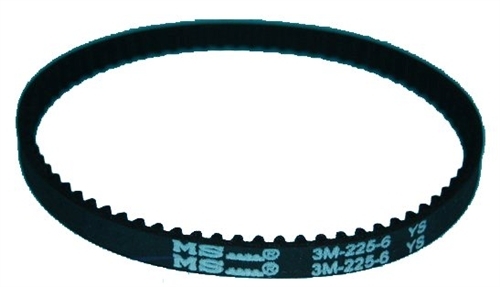 The second (smaller) belt (203-6688, sold separately) is mounted on the other side of the machine, and spans from the metal drive pulley to the rear brush.